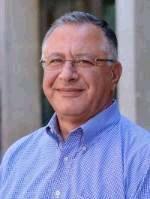 Walid A. Najjar is a Professor in the Department of Computer Science and Engineering at the University of California Riverside. His areas of research include computer architectures and compilers for parallel and high-performance computing, embedded systems, FPGA-based code acceleration and reconfigurable computing. Walid received a B.E. in Electrical Engineering from the American University of Beirut in 1979, and the M.S. and Ph.D. in Computer Engineering from the University of Southern California in 1985 and 1988 respectively. From 1989 to 2000 he was on the faculty of the Department of Computer Science at Colorado State University, before that he was with the USC-Information Sciences Institute. He was elected Fellow of the IEEE and the AAAS.